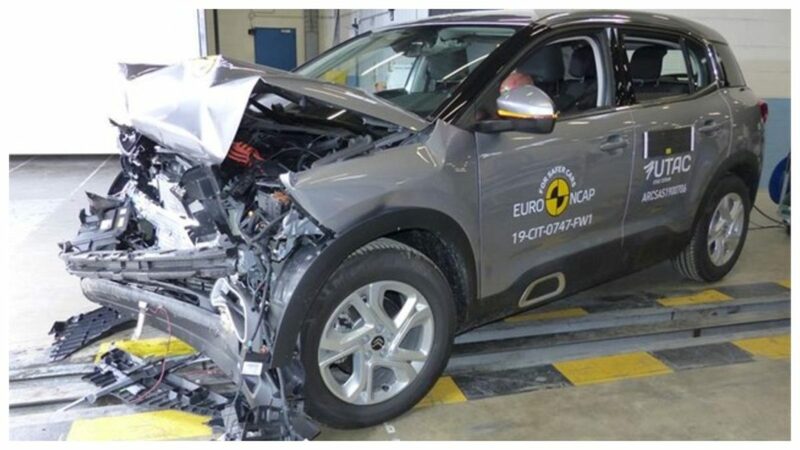 The Euro NCAP recently gave the Citroen C5 Aircross a 4-star rating, based on its crash tests. 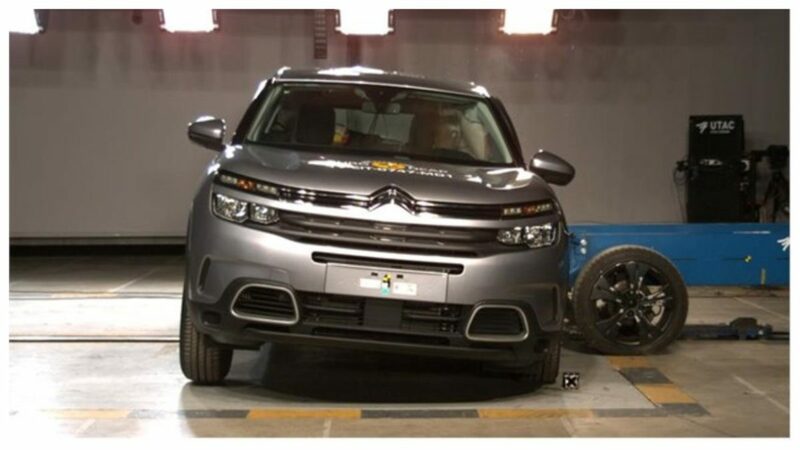 These tests were conducted just a few days after the compact SUV was confirmed for launch in the Indian market. The Euro NCAP tested the top variant of the C5 Aircross which was equipped with features such as 6 airbags, ISOFIX child seat anchors, speed assistance system, AEB (Autonomous Emergency Braking) and Lane Assist system. Even though the Indian-spec model should be pretty similar to the version that was tested, it will miss out on some key features like the AEB and the Lane Assist system due to the radar-based safety regulations applied in India. The C5 Aircross scored 87% in terms of adult safety. 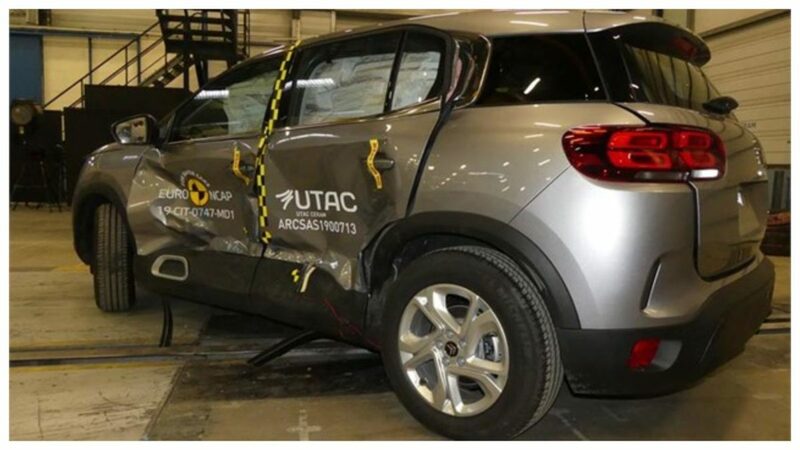 The passenger compartment of the C5 Aircross remained stable in the frontal offset test. The bodies of the dummy driver and front passenger dummy were well protected and the whole chest and frontal area had minor impacts, but the knees showed signs of damage. For the rear passenger dummy, the head deceleration indicated marginal protection. The car scored maximum points in the side barrier impact. In the more severe side pole test, rib compressions indicated marginal protection for the chest. Tests on the front seats and head restraints demonstrated good protection against whiplash injuries in the event of a rear-end collision. The standard-fit autonomous emergency braking (AEB) system performed well in tests of its functionality such as low speeds and typical city driving, during which many whiplash injuries can occur. The C5 Aircross scored 86% for child occupant safety. 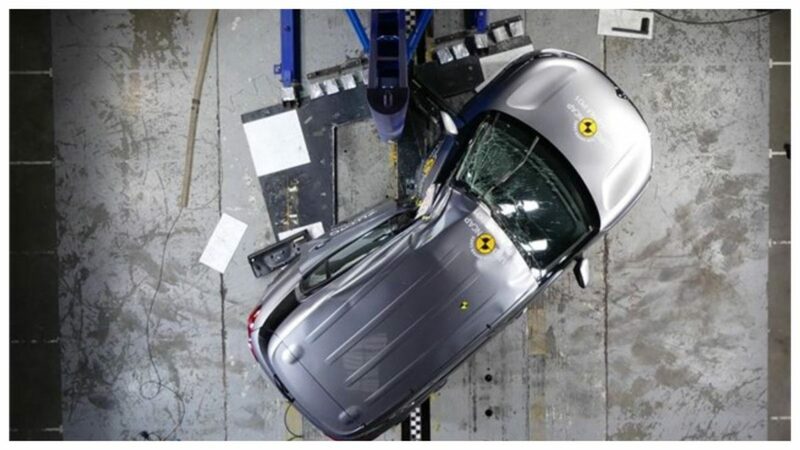 In the frontal offset test, protection was good enough for both the 6 and 10-year dummies, while in the side barrier test, protection was good only for the critical body areas. The car also has an additional feature in which the front passenger airbag can be disabled to protect a rearward-facing passenger from whiplash. Clear information is provided to the driver regarding the status of the airbag and the system was rewarded with extra points. All of the restraint types for which the C5 Aircross is designed could be properly installed and accommodated in the car. The car also gets a seatbelt reminder system for the front and rear seats as standard. The C5 is also designed with an AEB (Autonomous Braking System) to detect and apply the brakes which help in mitigating the impact of crashing into a pedestrian. The Citroen C5 Aircross will go on sale in the country before the end of 2020. The Indian-spec model will likely miss out on some features like the AEB (Autonomous Emergency Brake) and Lane Assist system. The C5 Aircross will rival the likes of the Hyundai Creta, the Kia SP2i and others in that segment when it goes on sale here.